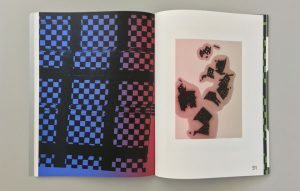 “XYZ” is an artist’s book with an innovative presentation of new combinations of Sabrina Fritsch’s paintings as an experiment with print graphics. 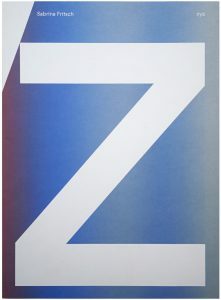 Several print processes, like iris- and duplex printing, are used to reverse and manipulate colour hues and to stimulate inventive processes. 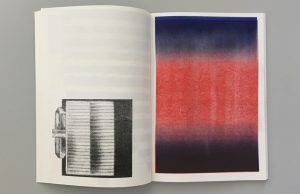 Print processes and techniques are a growing priority for the artist’s recent work, and their interplay complements and influences the paintings. 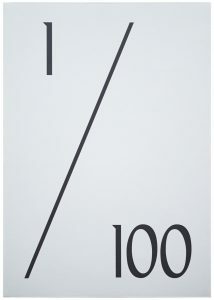 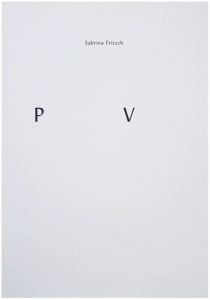 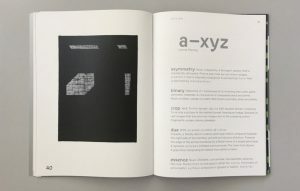 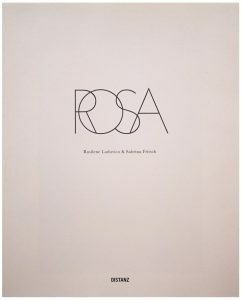 A lexicon essay—an imaginary ‘A to Z’ starting with ‘a’ for asymmetry through ‘n’ for neon grey to ‘z’—connects painting, print techniques and a book format as incentives to decipher the artwork. 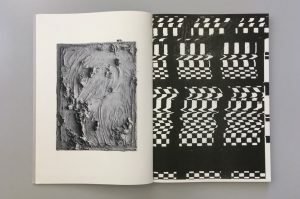 The artist’s book “1/100” marks a turning point in the artist’s work. 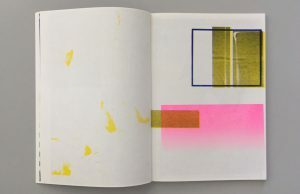 The project is an archive, experiment, compendium and simultaneously a foundation emerging from the search for a technique to translate the materiality of her paintings onto printed paper. 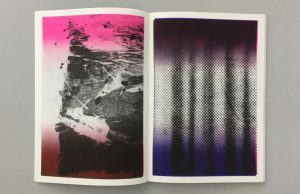 Risograph print involves printing ink on paper using a thermal process; like silkscreen, its haptic and superior quality is intensified by overlapping several ink layers. 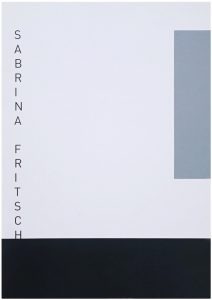 Sabrina Fritsch experimented for over a year with the possibilities of using a copier machine for the composition. 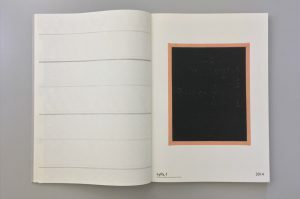 She finally focused on the reappraisal and review of her entire archive of paintings and photographs to create a compact book. 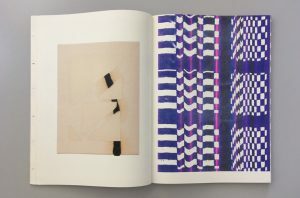 Relying on excerpts from her previous works, draft designs, photographic samples or visual notes, she separated, scanned, processed and copied details onto transparent film. 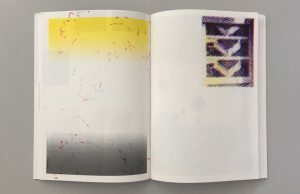 Ultimately, she recombined them using riso print to form new paintings. 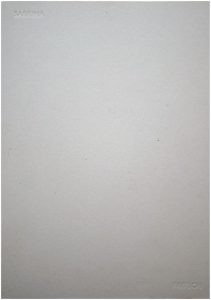 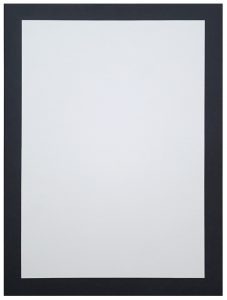 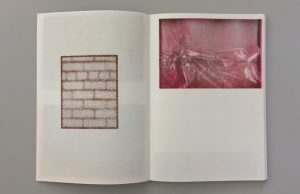 In contrast with painting, here it is not the artist’s hand but the copy machine, which defines the final picture with its unpredictable blemishes and automated processes, so influencing the artist book’s layout. 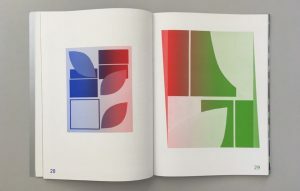 Approximately 580 double-page spreads with various motifs are the basis for 100 unique artworks made from 16 A3 sheets. 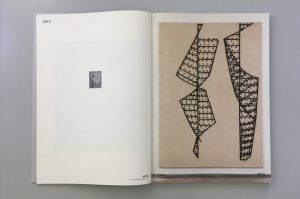 Thanks to the six ink rolls, which she could use for her work, ever-changing new layers and overlaps emerge to generate one-off patterns or to modify the starting motifs.